CORSAIR, a world leader in enthusiast memory, PC components and high-performance gaming hardware today announced the release of the new CORSAIR Hydro GFX GTX 1080 Ti all-in-one liquid cooled graphics card. Combining the extreme gaming horsepower of the NVIDIA GeForce GTX 1080 Ti GPU with world-renowned CORSAIR Hydro Series liquid cooling and magnetic levitation airflow, the Hydro GFX GTX 1080 Ti delivers the phenomenal performance of an overclocked GTX 1080 Ti with all the benefits of liquid cooling. 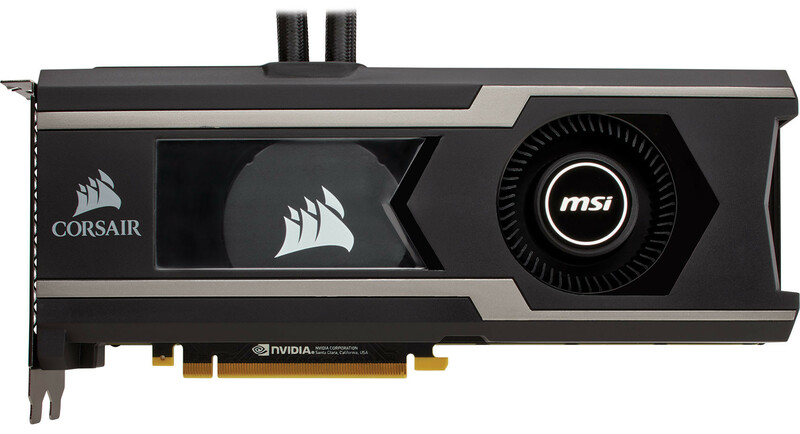 Cooler temperatures, lower noise, higher clock speeds, and easy installation combine to allow the Hydro GFX GTX 1080 Ti to offer all the performance, with none of the compromises. 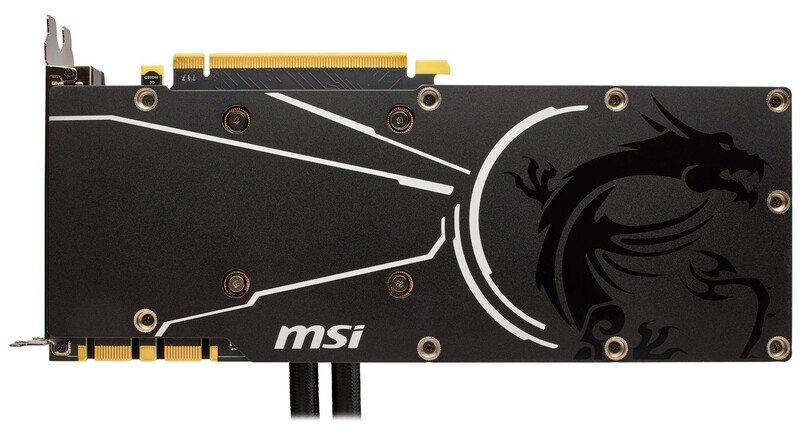 Developed in partnership with the expert graphics team at MSI, the Hydro GFX GTX 1080 Ti is powered by the NVIDIA GeForce GTX 1080 Ti, the most advanced NVIDIA GeForce GPU ever made. Boasting an irresponsible level of graphics processing performance, the GTX 1080 Ti features 11GB of GDDR5X memory, 3,584 CUDA Cores and a massive 352-bit memory bus, allowing it to drive today’s most demanding games and graphics applications at not just ultra-detail settings and high frame-rates, but stunning 4K resolution; it’s the ultimate GeForce GPU for PC enthusiasts who demand nothing but the best. The Hydro GFX GTX 1080 Ti pushes that performance even further, with a factory overclocked GPU core frequency of 1,506 MHz, boost frequency of 1,620 MHz and a memory frequency of 11,124 MHz, squeezing every frame per second, polygon and pixel out of the GTX 1080 Ti GPU. 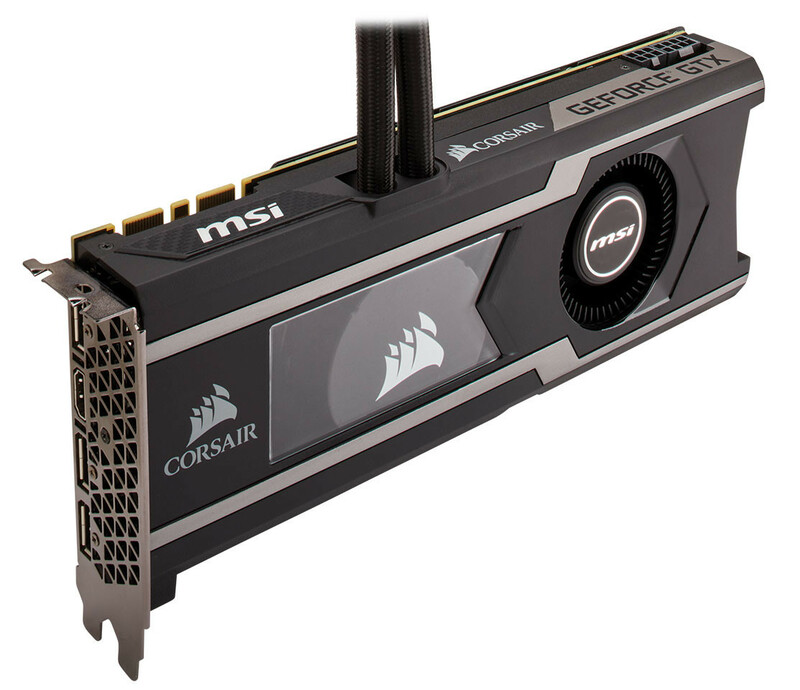 The CORSAIR Hydro GFX GTX 1080 Ti is available immediately only from the CORSAIR official webstore to customers in the United States, UK and Germany and is backed by a three-year warranty.